A little background first . . .
Denise has a former co-worker named Tom who lived around Dallas, TX. He is a very kind man who cares deeply about dogs who have been abandoned or discarded and he would use tools like Facebook to monitor his local dog shelters for new arrivals. The shelters were actually kill shelters and from prior experience he knew that when he saw a dog’s picture posted on the Facebook page, they had about a week to live. Tom knew the deal because he had previously rescued a dog from a shelter just as the week was coming to a close so that he could find the dog a new home. Tom already had a Beagle of his own and was unable to keep another dog long-term but is kind enough to take in other dogs long enough to find them new loving homes. 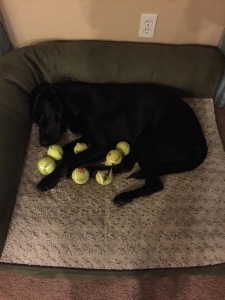 In November 2013 the dog shelter posted a picture of a black lab they had just received and it caught Tom’s attention right away because he couldn’t believe that someone would discard a Labrador Retriever given how smart and loyal dogs they are. So Tom, waited and watched the shelter’s Facebook page counting down the days. He noticed that the lab was still there so on the last day he went down to the shelter to check the dog out. Charlie, was a semi-malnourished black lab mix that was found wandering around Interstate 20 in the Dallas Metroplex area. Nothing more was known about him, he had no identification at all. No tags or microchip to say who he belonged to or where he came from. Charlie was just a number, in fact Charlie wasn’t even his name, they gave him the name when he arrived at the shelter. Tom first met Charlie and was instantly assured of his previous notion of how someone could discard such a loving and loyal dog. Even, though Tom probably had his mind made up to take Charlie before he even met him, his mind was made up now. Tom rescued Charlie from the shelter and took him home and started the process of finding him a permanent home. Denise and I already had a black lab, Ozzie. We got Ozzie in April after he was born February 26, 2005. Ozzie has been with us from close to the very beginning of our relationship together. 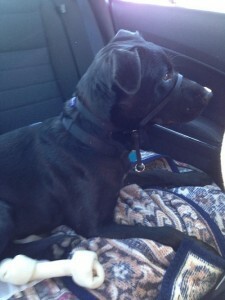 In fact, we picked Ozzie up a week after I moved in with Denise (how was that for timing!). We’d often thought of getting another dog but we’d always put it off because we just weren’t sure if the timing was right or if we were a 2 dog family. 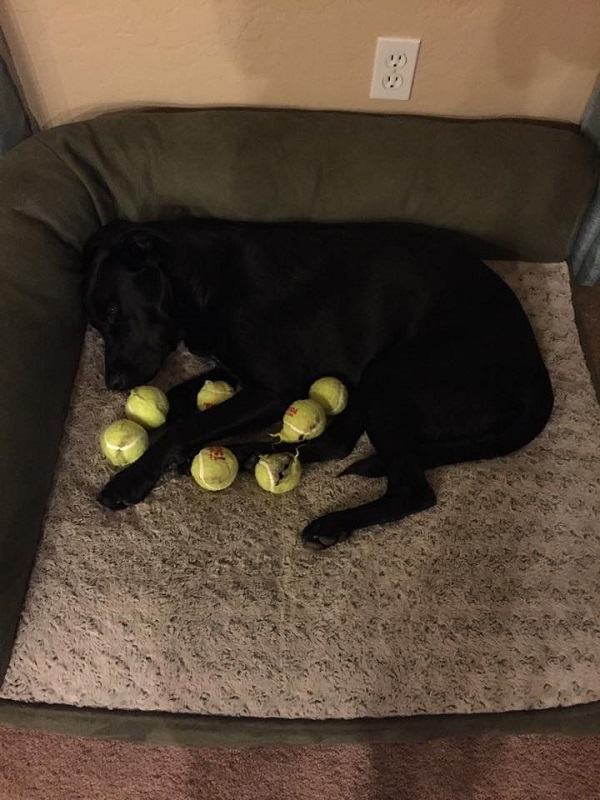 All of that changed around Thanksgiving of 2013 when Denise’s former co-worker Tom posted a picture of Charlie, the black lab mix that he had just rescued from the shelter. 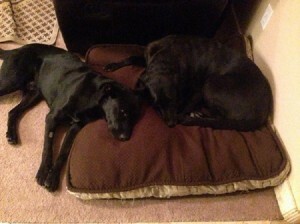 Tom needed to find a home for Charlie because well, he didn’t have a 2 dog household either!! Tom posted a picture of Charlie on Facebook and said he had a perfect little puppy who was looking for a loving home. Well suffice it to say Denise and I decided it was time to add another member to our Wolfpack. We were about to become the 4 best friends anyone could have! Logistics had a way of working out as Tom was heading out of Texas for the holidays around the middle of December and was able to “meet us halfway” in Albuquerque, NM. So we worked it out that he would drop off Charlie at PetSmart and board him there for two nights and then we would pick him up on Saturday December 14. Since that was all figured out, we felt like Charlie needed a new name, something . . . meaningful. We thought about names and came up with a few ideas and then it hit us, how about Tom? We can name him after the kind soul who saved his life? Yea, that’s cool, hey, my middle name is Thomas, named after my uncle (Tom Sauser). Ever seen the movie Tommy Boy with the late Chris Farley? Great movie. Well, there it is, Tommy Boy. That settles it, we’ll name him Tommy Boy! So we let Tom know in advance so he could start calling Charlie, Tommy Boy in advance of us picking him up so that he might start recognizing that as his name. Although, it turns out, Tommy Boy wouldn’t be his full name just yet. One weekend we were with our nephews and our almost 4 yr old nephew Jacob announced that he had a name for our new dog. “I think you should name him Ryder” Jacob pronounced! Hmmm, well? Um, we already have Tommy Boy. “Well, Ryder is my best friend at preschool,” Jacob said. Seeing that we needed to come up with a quick compromise, Denise says “Ok, how about we call him Tommy Boy Ryder?” Jacob smiles and says “Yea, that sounds cool!” So that is how Charlie the rescue got his “full” name Tommy Boy Ryder. We took Tommy Boy to the veterinarian the first week we had him as we wanted him to get checked out and he also needed to be neutered. We asked the vet how old he thought Tommy Boy was and he said,” Well when did you guys get him?” We responded by saying December 14th. He said well, I would consider that his birthday and that he’s one year old. He was able to tell by looking at his teeth approximately how old he was. As you can see from some of the pictures, he has grown up (and filled out) quite a bit from when we got him. Fast forward to today, December 14, 2014. We’ve seen Tommy Boy and Ozzie grow in ways we never expected. About a month or so after we brought Tommy Boy home, he started to loosen up and let down his guard more and more. He probably wasn’t sure he was even staying at our house as he had bounced around a lot in his short life, not to mention what had gone on prior to Tom rescuing him in Texas. The two dogs have become friends and partners, Ozzie has accepted that Tommy is staying, and Tommy has realized he is part of our family now. Things were a little dicey at times but with help from Partners Dog Training in Cave Creek Tommy is well on his way to being a very obedient and great dog. Both Denise and I have a very strong belief that Tommy Boy probably knew or at least had an idea of what he was facing when he went to the shelter. You can literally see the gratefulness in his eyes and in his actions, that someone had the heart to give him a second chance at life. Happy 2nd Birthday, Tommy Boy Ryder! If you want a pet, look for local shelters and see if you can find a pet that suits you or your family’s wants. 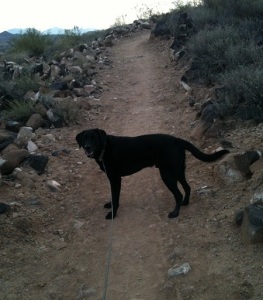 In Phoenix, we have different rescue groups for different breeds of dogs. If you are looking to get a dog or cat, please don’t purchase one that was raised in a puppy mill or some other poorly run operation. There are also respectable breeders out there if you choose not to rescue an animal. If you don’t want a pet, see if you can find local shelters and ask them or look on their website (or Facebook page) for information on how you can donate. Very often it doesn’t have to be money, you can volunteer your time, or even donate food or treats to help them out. How often do you skip over coupons for pet treats or food? Owning and marketing websites can be fun work but did you know that there are technical aspects of your website that you should be aware of that can negatively effect your search rankings and organic traffic to your site? One of those metrics is your website load speed. How important is website speed? If your website doesn’t load or respond quickly enough to a query by the search engine then it may be holding you back. I was hosting this WordPress site (nathansauser.com) on GoDaddy’s shared hosting and noticed that my page load speeds were pretty bad. I decided to switch to WP Engine and the results will amaze you. First, let me give you some background on website speed and why it is an important metric to me. Mainly because Google themselves said they use site speed as a ranking factor back in 2010. As Google points out in that blog post, page speed does not outweigh any on-page relevancy factors, meaning your page still has to be relevant to the searcher’s query. Google also goes on to say that before adding site speed as a ranking factor, they had done rigorous testing on their own products and found that faster sites improve the user experience and also reduce operating costs. In addition, having a fast website is a function of reliable web hosting. As of March 2014, all of the major US search engines have begun using site speed as an important factor for traditional websites and also for mobile versions of websites. If I were you, I’d be giving considerations to any mobile websites or applications you have out there because mobile web traffic is in the process of exploding due to smartphone and table usage. Why Switch WordPress Hosting to WP Engine from GoDaddy? I think we’ve discussed enough reasons why you need a fast website, clearly the fact that Google thinks its important is reason enough. There are a number of free page speed tools you can use to check the speed of your website, the one I use is the Crawl report in Google Webmaster Tools. You can also use the Google Page Speed Tool, Pingdom, and Web Page Test among many others that are available for free. I went into the Crawl report in Webmaster Tools and I saw that the highest time spent downloading a page was 1,984 milliseconds, or almost 2 seconds. The average for the last 30 days at the time was 1,365 milliseconds which is almost at 1.5 seconds for a web page to download. And finally, the last metric was the lowest time to download a page which was 961 milliseconds, or almost 1 second. Those are pretty awful web hosting metrics but this is typically the result when you have a company trying to sell web hosting on volume, not quality. So because GoDaddy doesn’t seem to care much about their hosting customers, or reduce their own operating costs, I decided to move to a new host. I asked myself, so who is WP engine? I started looking into WP Engine and other hosts and without fail, I always ran into a lot of satisfied WP Engine customers on Twitter and other places online and they always seem to be very highly recommended. I looked into the migration process and it looked easy enough so I made the plunge. I purchased my WP Engine package by using a Moz.com Pro Perk for a 4 month free discount for the WP Engine Personal Package (Click here to view the WP Engine Hosting Packages). The Personal Package comes with 1 WordPress install, 25,000 visits per month, 10 GB storage, and Unlimited Data Transfer retails for $29 per month, with the Moz discount it’ll cost me $19.33 per month. 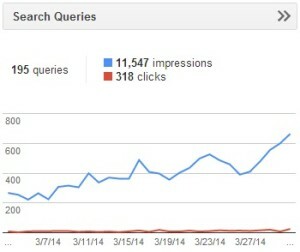 1) Increased organic traffic across the board (Google, Bing, Yahoo) – almost 15%!! 3) Time Spent Downloading a Page in Google Webmaster Tools plunged . . .
Time Downloading a Page Metrics: High – 1,984, Average – 1,101, Low – 184 – WOW! One important thing to keep in mind is that I have not added any new pages to the website, I’ve only moved it to a new more efficient web host, WP Engine. Google has clearly has increased the number of pages it crawls per day since I switched hosts in the middle of February 2014. My GoDaddy web hosting cost me $6.99 per month. The WP Engine Personal package retails for $29 per month (unless you have a WP Engine coupon code or deal). For me, this falls into the category of “you get what you pay for” and I can tell you that if I was running a Wordpress site for a business, I’d have my website hosted with WP Engine. Even though WP Engine is almost 4 times more expensive per month, the reliability and performance of their hosting package is what really counts for me. Just look back at the WP Engine vs. Godaddy metrics I’ve provided and make the decision for yourself. If you have any comments or questions, please leave them below. *The Average time decreased by almost 30%! 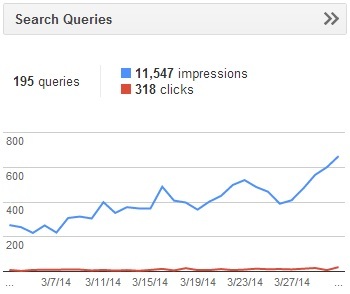 And look at the graph of the Google organic search impressions over the last 30 days. Since I haven’t added any new pages to the site I think improving the website load time is big contributor to the increase. I know there are other Googley factors at work but since I haven’t made any other changes to the website, the switch to WP Engine gets the nod! Thanks for reading this post! Please use one of the buttons below to share it with others you know that could increase traffic to their website just by changing web hosting to WP Engine. Responsive web design isn’t just the latest buzzword in web development and design. It’s a concept that is here to stay thanks to the proliferation of various internet connected devices. 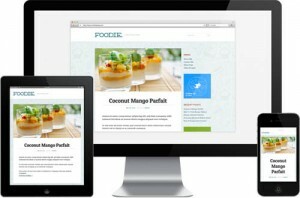 A responsive design is built or designed to work on any device that visits the site. The site changes based on the browser type or screen resolution of the visitor. The obvious advantage to using a responsive design is you have a one site or size fits all approach. This eliminates having to use mobile themes or have mobile specific editions of your site, with a responsive design, everything on the site adjusts to the capabilities of the visitor’s browser or screen size. The beauty of WordPress is that designers have created responsive themes that you can install. I am currently evaluating themes from Elegant Themes and Theme Forest to find one that fits my site the best. In my day job as the Lead SEO for a law firm based here in Phoenix, we rolled out a custom-built responsive theme in August and within the first 30 days we saw a 30% increase in mobile traffic. In June of 2012 Google recommended that you use responsive designs for your website vs. a mobile-only theme or some other iteration You know that when Google strongly recommends something (wink, wink) like that then you ought to look into it. The web is getting more and more mobile by the day, are you ready for the changing landscape? If you have any comments or questions on my experience with responsive design feel free to leave them in the comments. If you have any recommendations on good responsive themes for this website, please leave those in the comments as well. Need to download the Smokenator 1000 Manual? You’ve come to the right place, the download link is located below. I always encourage people use electronic copies whenever possible in order to save our trees. Enjoy the electronic PDF of the Smokenator Manual. If you happened upon this page and have no idea what the Smokenator is, then visit my Smokenator Review, and subsequent times of smoking ribs with the Smokenator. If you have a Weber Grill you should consider buying a Smokenator if you want to smoke some meat. Disclosure: If there is a product that I like and it has an affiliate program, then I might link to that product using an affiliate link. By using an affiliate link it means that I might earn a commission on a product if you buy something through that link. This doesn’t cost you anything but I just wanted you to be aware.